Brazil's Joao Simao is poised to make waves at the 2018 World Series of Poker. One of the things that make the World Series of Poker great is the coming together of players from all over the world to both compete in and celebrate the game of poker. For many players, not only is it the opportunity to win heaps of cash but also to represent their country at a final table and possibly have their national anthem played at a WSOP gold bracelet ceremony. Players from Brazil have a special zest for the game of poker. They have, time and again, lovingly draped their national flag over the shoulders of a home country champion. In 2018, there will be plenty of opportunities for Brazilians to celebrate their fellow countrymen, Here are five PocketFivers to watch this summer at the Rio. A former three-time PocketFives Worldwide #1-ranked player, Simao is one of Brazil’s brightest stars. He has accumulated over $7 million in lifetime online earnings and parlayed his success into an ambassadorship role for partypoker. Lately, Simao has been splitting his time between the online tables and participating partypoker’s live events where he’s been a mainstay in the High Roller and Super High Roller tournaments. In 2018, Simeo has made six live final tables and earned over $1.1 million on the live circuit. Traditionally, the World Series of Poker hasn’t treated Simao as well as the partypoker events have. He’s made an appearance at the WSOP just about every year since 2012 and, while he’s cashed, he’s never gone deep in the Main Event. That said, Simao has never been on a heater like is right now either. Simao is in the midst of a career year and this may be his time to breakthrough at the WSOP. When it comes to the Brazilian’s at the World Series of Poker, you simply can’t take your eye off of Akkari. Akkari, a Team PokerStars Pro, may not grind the online sites like he used to but he still can make an impact when playing online. With over $3.5 million in online earnings, ‘aakkari’ recently added to that total with a third-place finish in the May 6 edition of the Sunday 500 for over $20,000. It was 2001 recorded online cash. When it comes to his live resume, Akkari is a true WSOP grinder. He’s made the money 29 times in WSOP events and took home a bracelet in a $1,500 No Limit Hold’em event in 2011. Akkari is also a student of all the poker varients – in 2017 he made the money in both a HORSE. and a Seven Card Stud event as well as cashing for over $30,000 in the Main Event. Bittar does not have a lot of live results on his resume but his online prowess cannot be denied. 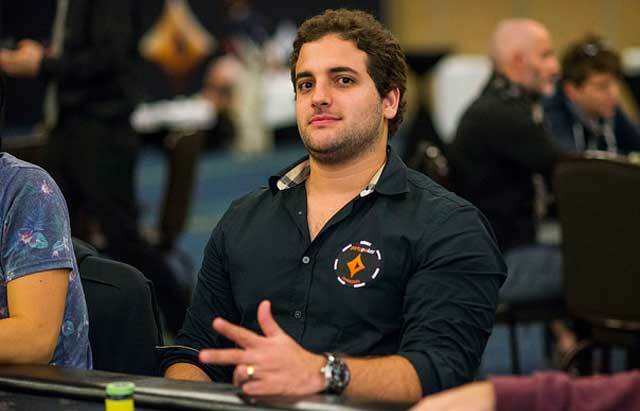 Bittar is currently Brazil’s #3-ranked pro having just recently eclipsed over $4 million in lifetime online earnings. So far in the month of May, Bittar has accumulated over 60 cashes with 18 of them being worth four-figures or more. If he brings that grinder’s mentality to Las Vegas this summer, it wouldn’t be a surprise to see him replicate his online success and go deep in a number of events. In 2017, he only managed a pair of results. One was a small cash in the $888 Crazy Eights event and the other was a deep run in Event #66, a $1,500 NLHE event where he finished in 31st for just over $10,000. Perhaps 2018 is could be a breakout year for Mr. Bittar. Hailing from Florianopolis, Nomura may be a player who comes out of nowhere to make a big splash at the 2018 World Series of Poker. A member of partypoker’s Team Online, Nomura is a student of the aforementioned Joao Simao and has been making an impact on poker both live and online. The one-time top 100 ranked player, Nomura is coming off a deep run at the partypoker MILLIONS North America Main Event where he bowed out in 24th for over $27,000. He’s shown he has what it takes to navigate large field tournaments as well, having won the 2013 Brazilian Series of Poker Main Event for over $108,000. Though he standardly plays mistakes online, should he make the trip to Las Vegas, as he did in 2017, he may be able to take his career to the next level. Sao Paulo’s Valentim only has a single World Series of Poker recorded result to his name but it was a good one. Last year, he made the trek to play in the Main Event and left with a top 100 finish (83rd) for over $72,000, which was a career-high live result. As an online grinder, Valentim has earned over $3 million in career and currently stands as a top-5 ranked player in Brazil and the #46-ranked player in the world. If the success of his 2017 Main Event run entices Valentim to book the 14-hour flight from his hometown to Nevada, he may be a candidate to fly back with a bracelet. I got to sit next to Joao in the 2015 WSOp for about 5 hours, great player and a super nice person.